Its small size (128.5×128.5x30mm), the absence of external antenna, its triangular front blue LED and distinctive rounded edges give it a modern look. Where can i buy the M8 Quad Core Android 4.4? Here you can see the technical specifications of the M8 Quad Core Android 4.4. 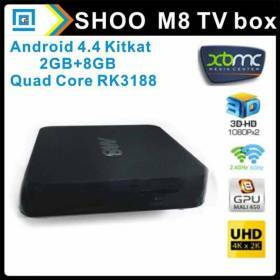 As you can see, by its specifications, the M8 Quad Core Android 4.4 is prepared to meet the needs of those who venture into the world of Android TV Box, and those who are already familiar. 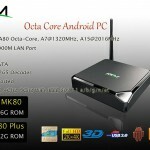 The M8 Quad Core Android 4.4 is presented in a package according to the term “box”. Divided correctly, we can find the M8 device protected compared to other components, which are in separate compartment, such as the HDMI cable, power adapter and remote control IR, protected by its own case. At the back we find all device connections (left to right): 2 ports USB2.0, HDMI cable jack, RJ45 Ethernet cable, AV connection, optical output and power supply. In his right hand is located the Micro SD slot. In the front part its distinctive triangular LED will remain blue while operating, and red when in StandBy. The M8 Quad Core Android 4.4 comes with one of the latest version of Android, offering advantages over their predecessors as well as memory management, enhanced multitask functions. By having 2GB of RAM, the M8 Quad core can multitask between applications in a smooth and without delays way. It also allows us to use the Miracast protocol system by which any device that has Wi-Fi and Android version 4.2 or higher, you can connect with M8 Quad Core Android 4.4. So, whatever you’re watching on your mobile or tablet, you can watch on your TV. The M8 Quad Core Android 4.4 also has a really good eight-core GPU, which will provide a unique graphic quality to the latest Android games and our applications. 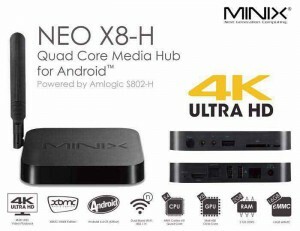 This M8 Quad Core Android 4.4 it has integrated the latest XBMC (“XBox Media Center”). With it, we have access to diverse content such as music, movies, software, etc. 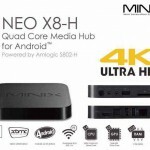 It has a system of add-ons that will make this application the most important part of your android tv.The M8 Quad Core Android 4.4 is able to do streaming movies in HD without problems. The M8 Quad Core Android 4.4 features a quad-core processor, offering a powerful and processing speed device that works efficiently and makes all applications run smoothly. While we can see that the processor generates some heat to the device, the design of large vents on the bottom provides a excellent ventilation and can leave it on standby without any problems. The M8 Quad Core Android 4.4 has 2Gb of RAM, more than enough to support our core applications. The internal memory of 8Gb NAND type comes with one partition of 5,7Gb free, that while we may be small, we can always use MicroSD cards to expand it. 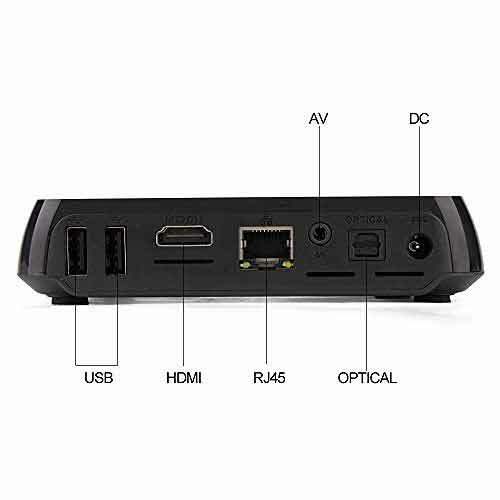 Although the M8 Quad Core Android 4.4 comes with a remote control included, where all the controls work properly, it may be more convenient to use some kind of AirMouse device offering all the functionality of a mouse and keyboard in one whole, without problems be recognized by the device. The M8 Quad Core Android 4.4 comes with all the necessary to turn your old tv in a super smart tv with access to internet via Wi-fi or Ethernet, even more, you can use the bluetooth to connect any device with this technology to share files or media. In short, the M8 Quad Core Android 4.4 will make your TV turn into a huge tablet, with all its features and all the advantages of working with a screen big as your tv, controling it from the confort of your couch. As a media center, it will allow us to see a lot of content being broadcast live on the net, with little perceived delay in playback thanks to its 2GB of RAM. Also by having Android OS 4.4.2 Kitkat we can enjoy all the applications we can find in Google Play. Thanks to its internal player, the M8 Quad Core Android 4.4 will provide hours of film and fun, with the highest resolution graphics and Dolby and DTS stereo. It will be like having a home theater. 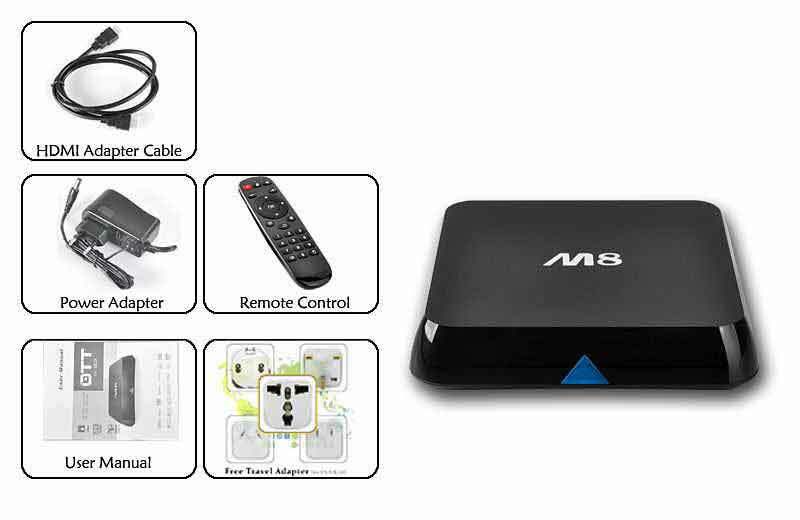 With the M8 Quad Core Android 4.4 you will have no problem in connecting mobile devices via AirPlay and Miracast with this Android Tv Box. We can show our photos & videos to our friends with a fast connection and with minimal lag. If you have network devices, the M8 Quad Core Android 4.4 will have no trouble connecting to them thanks to DLNA. You will have no problem with video, or sound, either using Skype or Hangouts. Only have to connect a webcam with mic and have fun. If you are thinking of an alternative to the Smart TV, to enjoy all the applications, games, watch HD movies, listen to your favorite music with excellent quality and entertainment for the whole family on your TV, definitely the M8 Quad Core Android 4.4 is a highly recommended option. 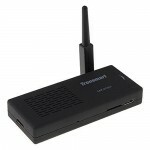 Its ratio of quality / price is amazing, offering us a really good android tv for a nice price. The CPU Amlogic AML8726 S802 Quad-core Cortex A9 M8 @ 2GHz supports Ultra HD 4Kx2K. Decodes and plays movies with formats Ultra HD 2096 * 3840 * 2304 and 2160. The Octa-Core GPU Mali-450MP supports HDMI 4Kx2K resolution , 4 times the full HD output. So 4K your player can make images look really sophisticated with an impressive visual effect. It supports Blu-ray 3D and videos in format Blu-ray ISO. Supports XBMC video player perfectly. 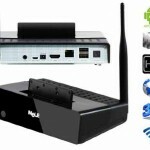 It is integrated with the latest version of XBMC, with many functions for multimedia entertainment. In this page you will find a step by step how to root your M8, with the necessary files and other information. Remember that you only have to root your device if you really need. Where can i buy the M8 Quad Core Android 4.4 ? To buy a M8 Quad Core Android 4.4 the best place you can find online is Amazon with a excellent customer service you will not have any problem return it if something goes wrong or does not comply with what you were looking for.